The Readicut Simple Tapestry booklet showcased another of Readicut's ventures, though I am not sure how long they produced tapestry outfits for. Several of the tapestry kits mirrored rug patterns so that stools, fire-screens and table-tops (underneath a piece of glass) all co-ordinated. 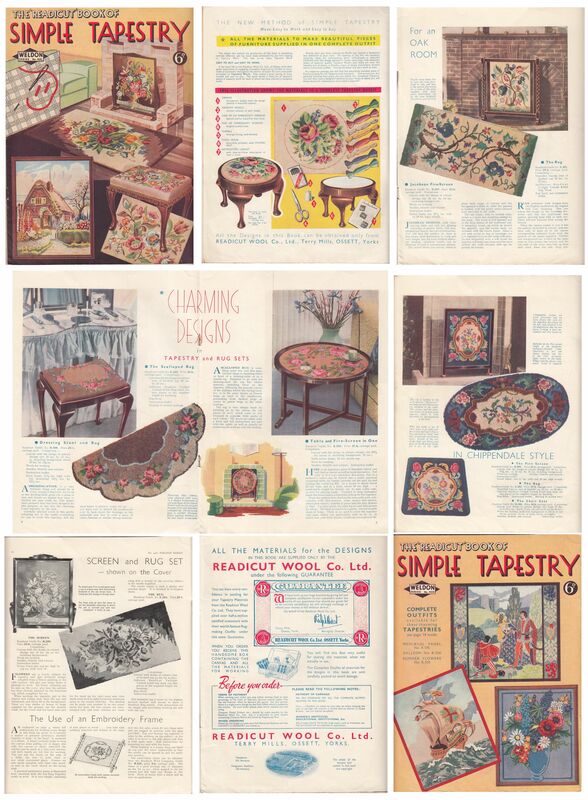 Other patterns were for handbags, bench-covers, tray inserts (again with a glass cover), cushion covers and pictures.